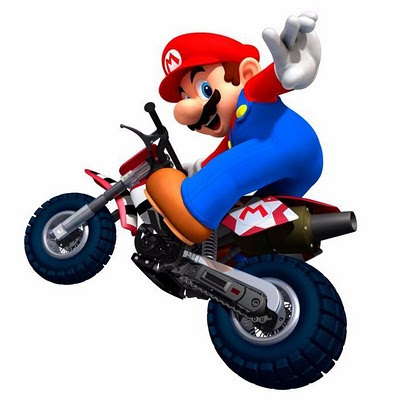 NextGen Player is gearing up for a night of racing, Mario Kart Wii style, this Thursday, February 25th, 2010 at 7:00pm. Best of all -- you're welcome to join us! The fine folks at Offshoot, a Toronto-based interactive marketing firm, will be hosting their second gaming tournament at The Bait Shop, a unique and multi-faceted gallery space that serves as a recreational hub for skate and extreme sports culture. I checked out their December tournament and had a blast; if you're interested, some photos can be found in my impressions post on the Future Shop Tech Blog. The Bait Shop is located at 358 Dufferin St. Suite 117 in Toronto west's Liberty Village district. Once there, simply fill out the information to enter the tournament for a chance to win some serious prizes. Oh, and of course, the chance to be crowned the prestigious title of Mario Kart King/Queen. For those looking to be spectators, there will be a room full of entertainment including a live DJ spinning tunes, food and drinks, and a great vantage point to watch the gamers triumph and fall during the competition. Feel free to cheer, hiss or boo at your leisure! A Facebook event page has been created so click through if you want to announce your attendance or chat with some of the attendees. For more information, please contact the event organizer, Zoe Hamilton, at zoe@offshootinc.com. Just a warning -- space is limited and if you're not on the guest list you won't get in. Hope to see you there, vrrooom vrroom! You won't be going vroom vroom, it'll be more of an 'EEEEEEEEEECH' (thats the sound of you slipping all around from the bananas I'll be dropping). Can't wait Dillon, I'll be sure to bring my red shells and mushrooms with me!